If you are in the Oak Forest area and are looking for a new vehicle you should check out the 2019 INFINITI Q50 at Zeigler INFINITI of Orland Park serving Oak Forest, IL. You will enjoy a comfortable commute and a smooth ride in the 2019 INFINITI Q50 luxury sedan. With first rate driving performance and safety features, you will not have to worry about bumps in the road. You will be the envy of the town driving the 2019 INFINITI Q50 luxury sedan with its luxurious interior and exterior. 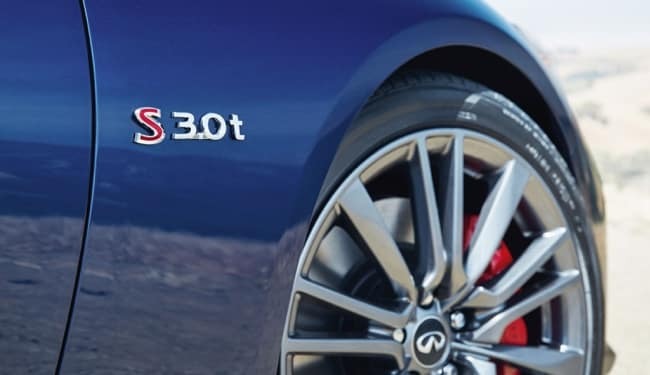 You will also feel safe with the 2019 INFINITI Q50’s latest technology and safety features. Here are some of the features of the 2019 INFINITI Q50 which you can purchase at Zeigler INFINITI of Orland Park serving Oak Forest, IL. 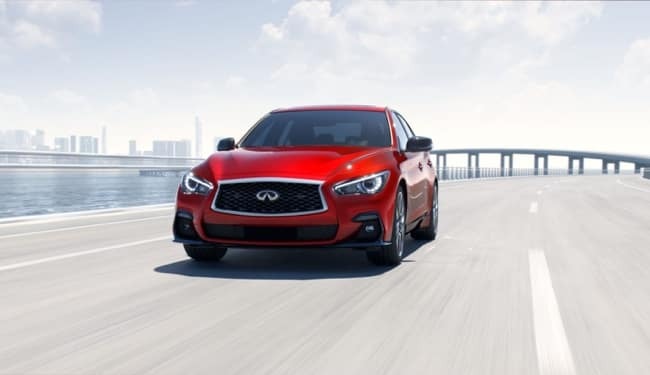 The 2019 INFINITI Q50 has excellent driving performance whether you are commuting on the highway or driving through the city of Oak Forest, IL. The engine provides you with plenty of horsepower to get to and from your job quickly and efficiently while still providing you with great gas mileage. Here are some of the driving performance features. 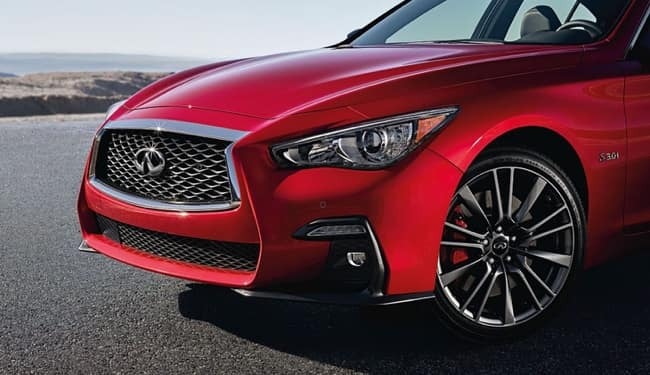 The exterior of the 2019 INFINITI Q50 is designed to turn heads and save on mileage. With its sleek design and unique build the 2019 INFINITI Q50 luxury sedan will make you feel special while you commute or drive to your favorite restaurant in Oak Forest, IL. You will be driving in luxury and style around Oak Forest. Here are some of the exterior features. 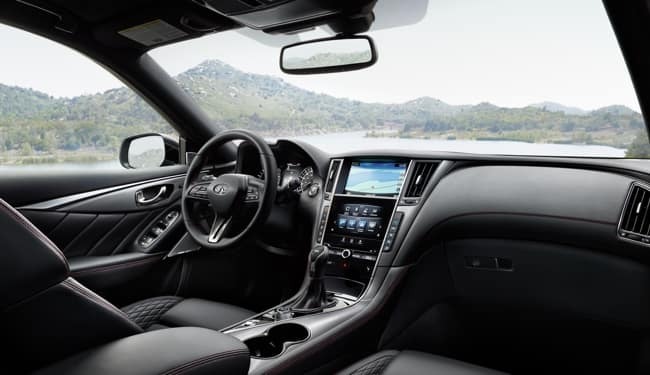 The interior of the 2019 INFINITI Q50 is just as luxurious as the exterior. With the spacious leg room and adjustable seats, you will feel comfortable on your commute to and from Oak Forest. Here are some of the features of the 2019 INFINITI Q50 interior. 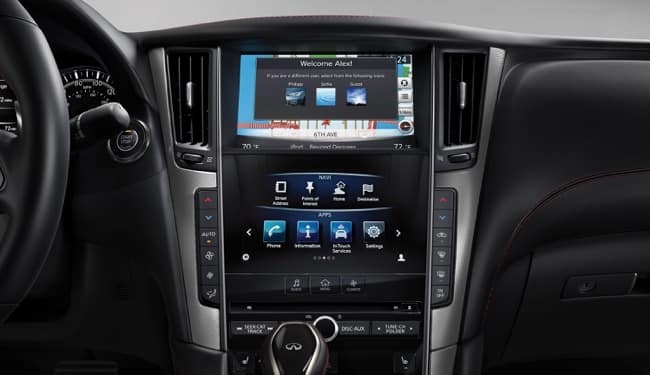 The interior of the 2019 INFINITI Q50 would not be complete without the latest technology. This technology is right at your fingertips. It will provide you with entertainment, guidance, and safety. This technology will let you enjoy your drive while also providing the latest safety features. Here are the 2019 INFINITI Q50 technology features. When you are driving around Oak Forest or commuting to work you have enough to think about. You want to be able to relax and enjoy your ride. You do not want to have to worry about your safety or those around you. 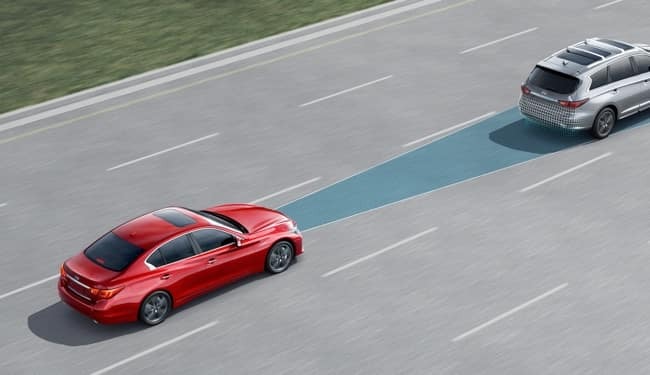 With the safety features of the 2019 INFINITI Q50 you will drive confidently knowing that you do not have to worry about your safety. Here are some of the safety features. Now that you know the features of the 2019 INFINITI Q50 luxury sedan, it is time to talk about financing. We never pressure you to buy and we take our time to find a finance option to suit your needs. Here at Zeigler INFINITI of Orland Park serving Oak Forest we have different finance options. Here are a few of our finance features. Talk to our finance professionals whether you wish to lease your vehicle or want to apply for an auto loan. Why Oak Forest, IL Drivers Choose Zeigler INFINITI of Orland Park? Why would you shop Zeigler INFINITI of Orland Park? We care about your needs. We want to see you drive a 2019 INFINITI Q50 luxury sedan off of our lot today. We strive to make you feel welcome and at ease in our Zeigler INFINITI of Orland Park serving Oak Forest location. Stop on by our Zeigler INFINITI of Orland Park serving Oak Forest showroom today and take a look at our 2019 INFINITI Q50 luxury sedans we have in stock. We have the latest INFINITI models available for you to try out. With our extended hours you can stop by after work. There is no need to make an appointment. Our helpful customer service representatives will guide you through purchasing and financing a vehicle with no hassle. So stop by and test out the 2019 INFINITI Q50 luxury sedan today. You will be the envy of the neighborhood in your new luxury sedan. You can drive around Oak Forest in affordable luxury with the INFINITI Q50 from Zeigler INFINITI of Orland Park dealership.